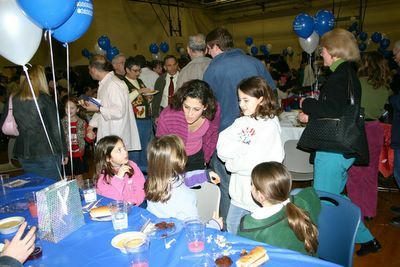 On Dec. 20, hundreds of members of the New Orleans Jewish community jammed the Uptown Jewish Community Center for a Chanukah party, the first major "welcome home" event since the community was evacuated due to Hurricane Katrina. 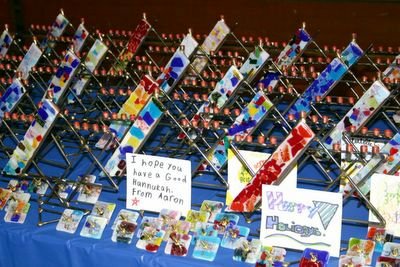 The Hiddur Mitzvah project of artist Gary Rosenthal brought about 300 Chanukiahs and 800 dreidels that had been made by Jewish communities across the country, and donated to families in New Orleans. 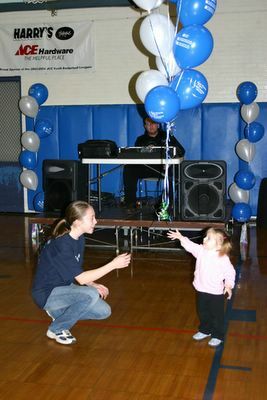 There was also a giveaway of toys for Chanukah, family Chanukah packages and bags of school supplies. Rosenthal said this project was personal, because of his close friendship with Dashka Roth, who owns a Judaica art store in the French Quarter. Rosenthal announced an upcoming celebration for those who missed their Bar/Bat Mitzvah parties because of the hurricane, and plans for a "national" Jewish music festival to be held in New Orleans in April. It is estimated that close to 1,000 of the 3,600 Jewish households in the New Orleans area have come back.